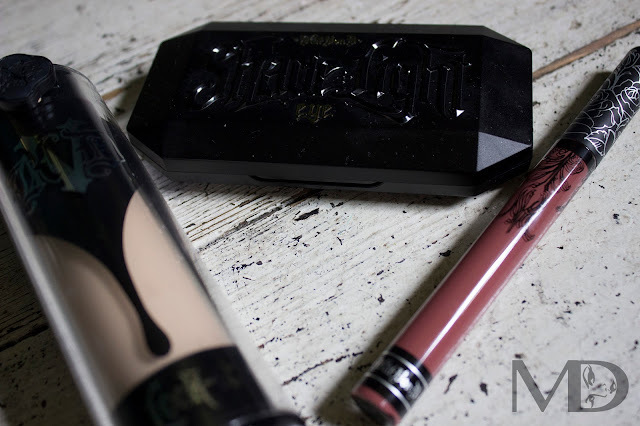 Primarks makeup section has become somewhat of a focus for beauty bloggers and makeup addicts all over the UK, but can such a low price really deliver a quality product? 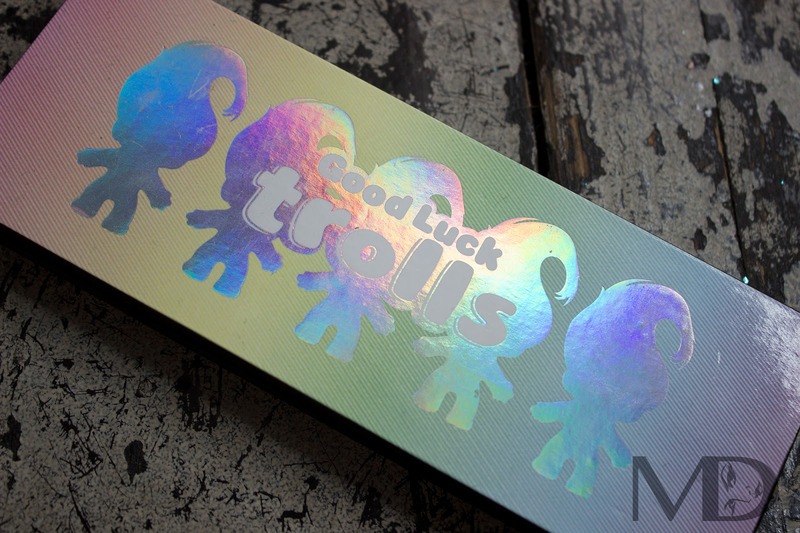 This troll palette reminded me of the Kat Von D pastel goth palette, so could it possibly be a £5 dupe? 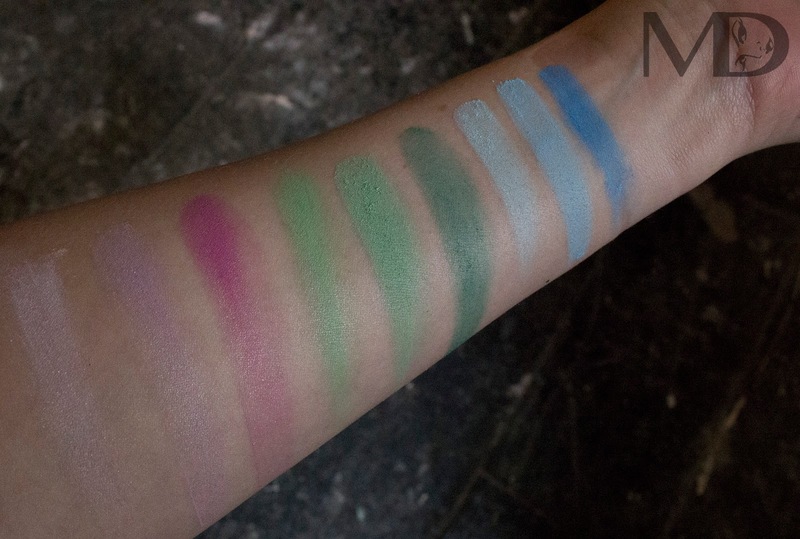 There seemed to be quite a range of pastel bright colours in there, which while similar to the KVD palette, it doesn't have the exact same colours and shades. With the palettes i've bought from Primark, the packaging is made up of cardboard, so it will be a lot flimsier than the usual plastic palettes, although cardboard is much easier to recycle. I hoped there would be a lot of pigmentation in these colours, as they looked really bright, but sadly the colours paled on the skin and there was a large amount of drop page although it was very easy to brush this away without any skin discolouration. I realised I wasn't going to get the colour I wanted from using the product dry, so instead using MAC studio fix on my brush, something I regularly use instead of water as it helps to fix the make up, I used the product wet on the lids and has a much better result. 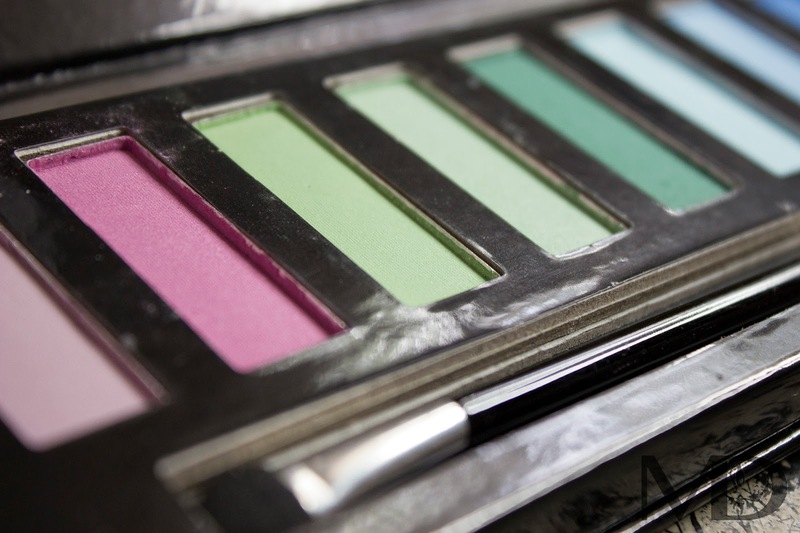 However using a wet brush on the product did make it break down a little and the palette no longer looks as set and pristine as it does in these photos. The pigmentation when wet works brilliantly, and really made the look a lot stronger, at only £5 for the entire palette it isn't something you may worry about messing up as you would a £40+ palette. 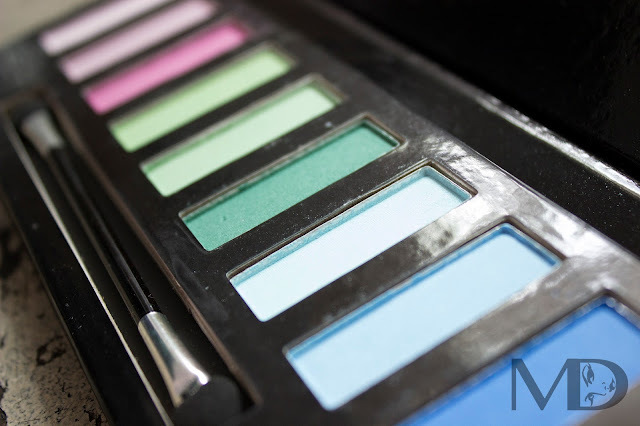 It is a fantastic range of colours, and they do mix quite nicely together, but I would recommend only using for a very subtle colour look, or using them wet to give much better coverage and a strong bright colour on the lids. 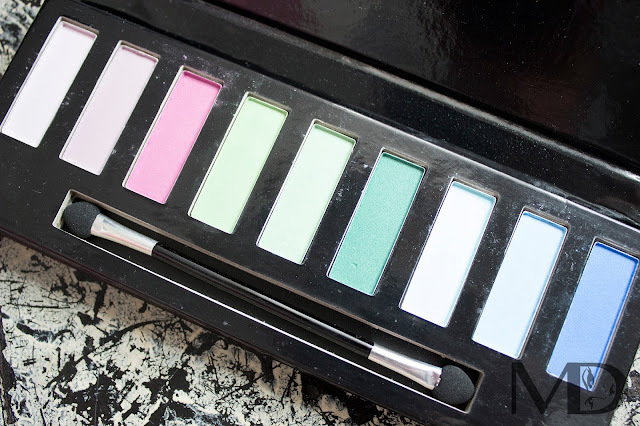 For £5 I say it is worth buying, especially as the KVD Pastel Goth palette is now reaching prices of £60+ online, being a limited edition, you can't go wrong substituting this particular bargain as long as you don't buy it expecting it to deliver what it cannot. In this video I teamed the shadows with our own The Real Teal and Mermaid Scales for a mermaid inspired look.